If you’ve been on the Main Line as long as we have or come from someplace colder, you know you lose up to half your home’s heat in the winter through your windows! The right window treatments are important, not only for light control, privacy, and looks. They’re a kind of insulation. Our window treatment store, an authorized Hunter Douglas dealer, proudly presents you with this brand’s lines of cellular honeycomb shades. These marvels use the trapped air in a hexagonal pocket in the shade to cool you in summer and warm you when the snow and ice are outside. Plus, these shades come in a vast array of colors and textures to admit enough light and fit your room’s theme. Hunter Douglas created cellular honeycomb shades in the ‘80s. Since then of course this brand has made advances to this type to enhance its ability to keep your room comfortable. With that in mind, buy our Duette ® shades in a choice of cell sizes. You may also choose their orientation: traditional horizontal for your windows, or vertical with the brand’s Vertiglide™ system, ideal for adding privacy to your sliding glass doors. And with the Duolite ® option you can mix it up a little by having different colors of fabric in your cellular honeycomb shade! Hunter Douglas has stepped up the energy efficiency of cellular honeycomb shades with its fine Architella® line. These shades employ a unique honeycomb-within-a-honeycomb design to better use the trapped air in the shade as insulation, adding a whole extra layer of protection from the harsh temperatures outside. Better still, with this brand’s appealing fabric options, you can find your ideal blend of color, pattern, texture, and opacity (ability to let in light) for your room. Diffusing ultraviolet rays and maximizing privacy have never been prettier. Our Alustra® Collection of Hunter Douglas cellular honeycomb shades boasts all the technical advances of the kind while adding more artistic choices for your room from Toulouse sheer to gold-thread. Thoughtfully curated with design studios in mind, it is now available at Window Concepts for households like yours. 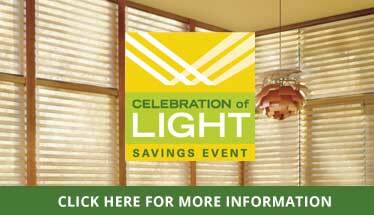 Get started on enjoying new, energy-efficient and attractive cellular honeycomb shades now. Stop by our Paoli, PA store to see our wide selection for yourself.